Adsale Group Adsale Publishing Ltd.
• Brainstorm:The breakthroughs in applications of high performance modified materials and processing technologies for home appliances. What will be the hot materials and processing technologies in the near feature? • Brainstorm:In the highly competitive small home appliance market, how can enterprises develop new products that attract consumers? How to guarantee the safety of materials used in small home appliances? • Zhuhai GREE Intelligent Equipment Co., Ltd.
• Brainstorm:How will the 3C consumer electronic market change in the era of 5G? 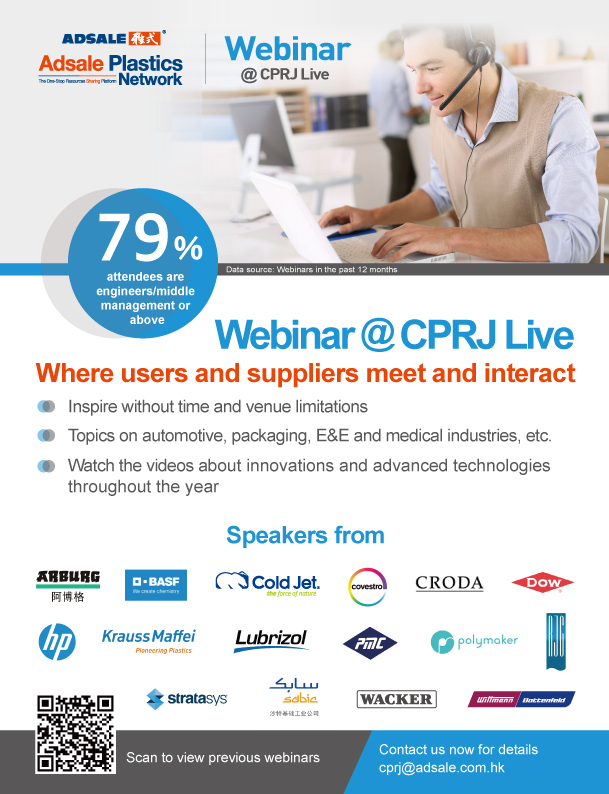 What will be the challenges to materials and processing technologies? Route 1: Visit the Exhibition Hall and Washing Machine Trial Center of Gree Electric Appliances, Inc. of Zhuhai (This route is for materials and equipment suppliers only). 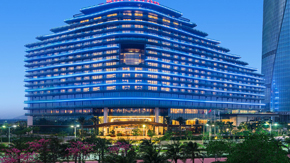 Route 2: Visit the Exhibition Hall of Gree Electric Appliances, Inc. of Zhuhai and the Precision CNC Machine Tool Development Center of Zhuhai GREE Intelligent Equipment Co., Ltd. (This route is for home appliance/3C end product enterprises only). GM Assistant, Zhuhai GREE Intelligent Equipment Co., Ltd. GM Assistant, Zhuhai GREE Intelligent Equipment Technology Research Institute Co., Ltd. Product Planning Director of Wentai Communication Co., Ltd.
R&D+D Vice President. of Chunmi Electronics Technology Co., Ltd.
Chief Engineer of Hefei Meiling Co., Ltd.
Materials Research Director of Technical Center, AnHui Higasket Plastics Co., Ltd.
Director of Shenzhen Xinhao Precision Technology Co., Ltd.
Injection Project Specialist of Guangdong Xinbao Electrical Appliances Holdings Co., Ltd.
COO of Jinyoung, Jinyoung (Xiamen) Advanced Materials Technology Co., Ltd.
Senior Engineer, Ningbo Shuangma Machinery Industry Co., Ltd.
Strategic Marketing & BD Manager-E/E and General Industries, Radici Plastics (Suzhou) Co., Ltd.
Director of JEA Technology Marketing Center, Dongguan Jea Polymer Technology Co., Ltd.
CEO, Shenzhen Multiplus Machinery Co., Ltd.
ROBOSHOT SALES DIV Account Manager , Shanghai-Fanuc Robotics Co., Ltd.
Pre-Sales and Application Engineer, Stratasys Shanghai Ltd.
RADICI PLASTICS (SUZHOU) CO., LTD.
ZHONGSHAN LEADSUM INTERNATIONAL CO., LTD.
ZHONGSHAN HUASU PLASTICS TECHNOLOGY CO., LTD.
Zhuhai is adjacent to Hong Kong and Macau, and is a city of immigrants. Hong Kong style seafood cuisine, Hong Kong style dim sum and Macau Portuguese cuisine, etc., are the main features of high-end restaurants. 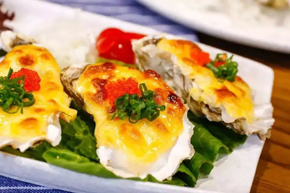 The ten famous Zhuhai dishes, such as "Romantic oyster love", use local food and reflect the local cultural. Ten famous dishes in ZhuHai: Fried seto urine, Sweet cheese oysters, Haliotis oysters with abalone sauce, Braised prawn conch meat, Steamed prawns, Fragrant pigeon fish, Stir-fried sea sturgeon, Double crab, Prawns with golden soup, Steamed heavy shell crab.